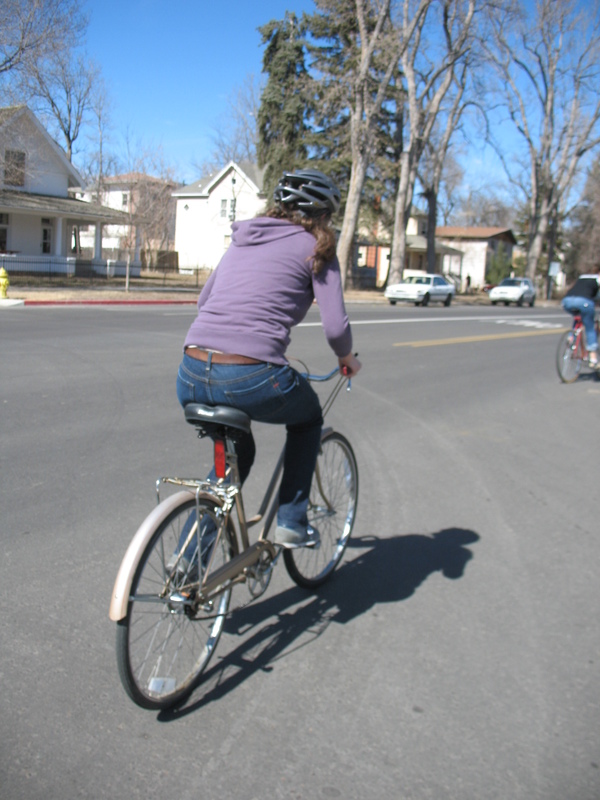 People of the Internet: I need you all to clap your hands and say “Yay Sara!” for on March 9th, 2008 Sara Rose mastered the art of bike riding and her life will be forever changed! But that comes later in the story, first come all the wake up, get dressed eat breakfast kind of things. The two of us were sharing a bed when Kate came in and pounced us awake! We three lay around for a while chatting and laughing; basking in the glory of our trio united. We rolled out of bed and began breakfast preparations. 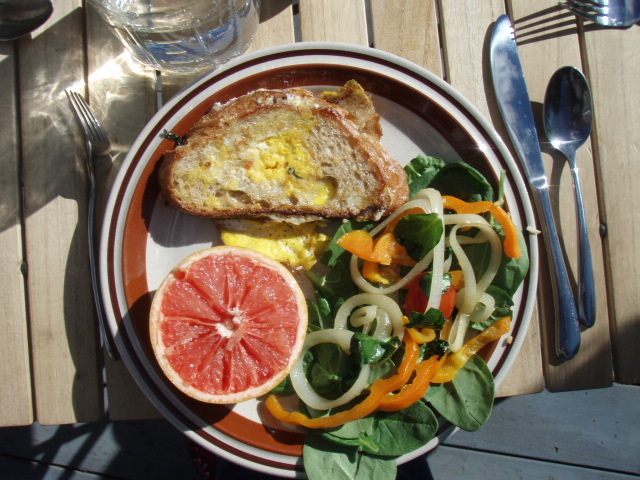 Lightly sautéed vegetables laid on a bed of fresh baby spinach; half a sweet and juicy grapefruit; eggs-in-a-basket; with homemade cappuccinos. 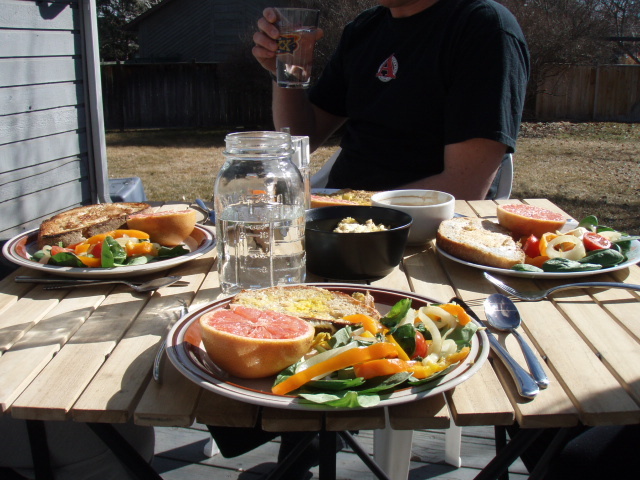 Close friends gathered around a sunshine soaked table on Sunday morning. Thank you world for this moment. 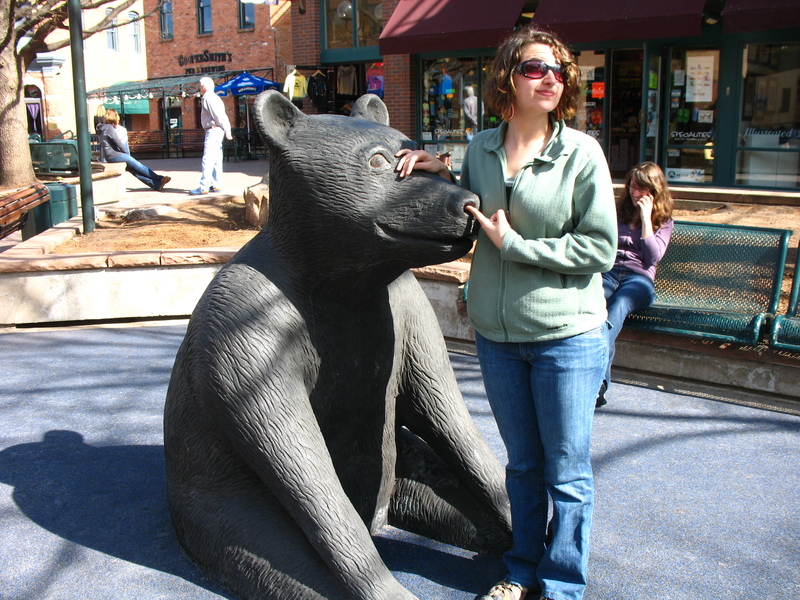 It was time for us three ladies to head to Boulder so we snapped a family photo, exchanged bear hugs and headed south. 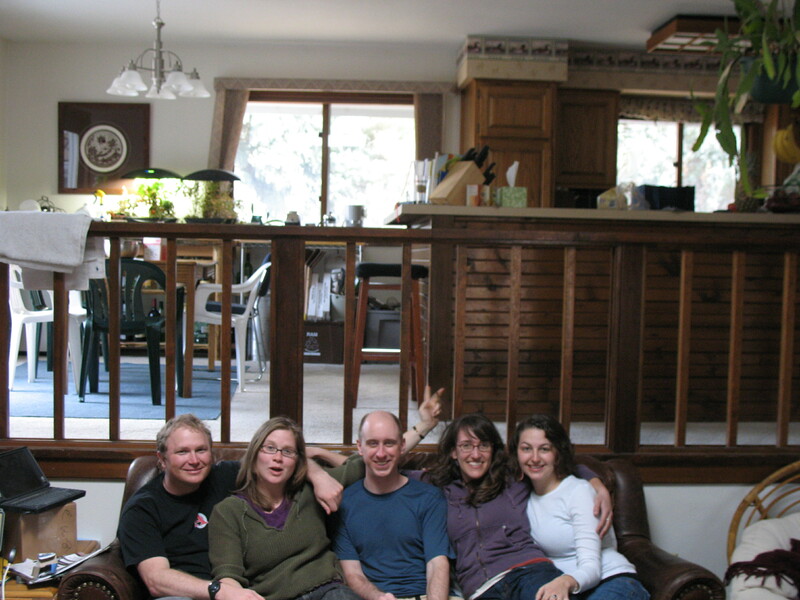 Seeing as we didn’t really eat lunch, low blood sugar hit us as we arrived in Boulder. Unable to make cooking decisions we headed down to a Tibetan restaurant where we were joined by a fellow Clark Alum, Brian. A bright exciting day melted into a warm cozy night and we all drifted happily out of one dream world into the next.